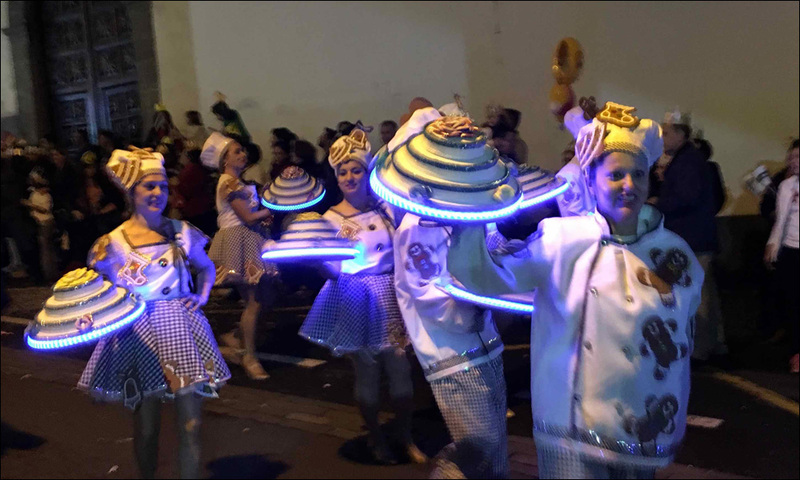 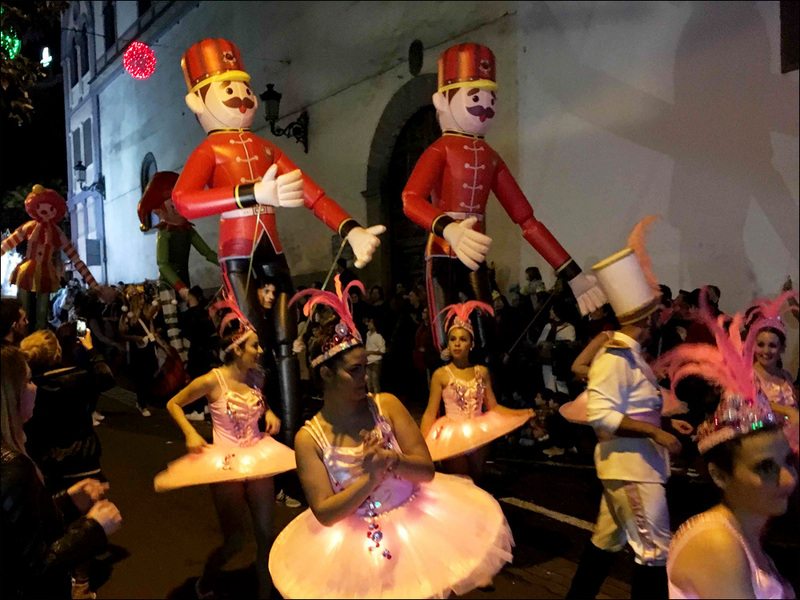 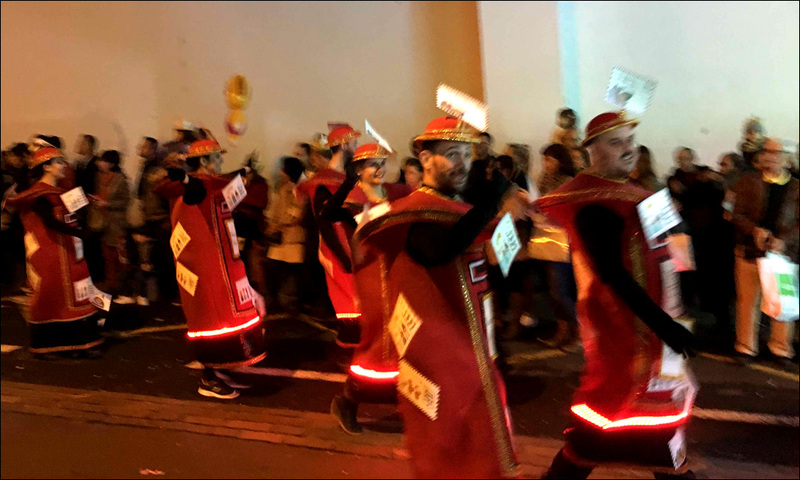 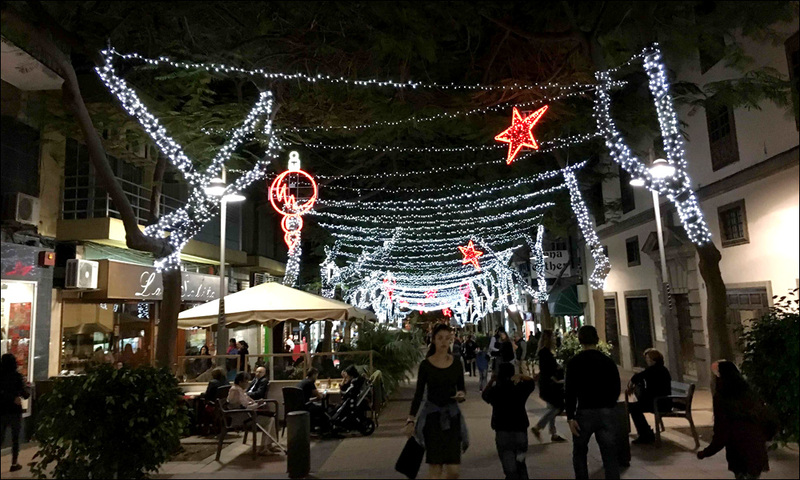 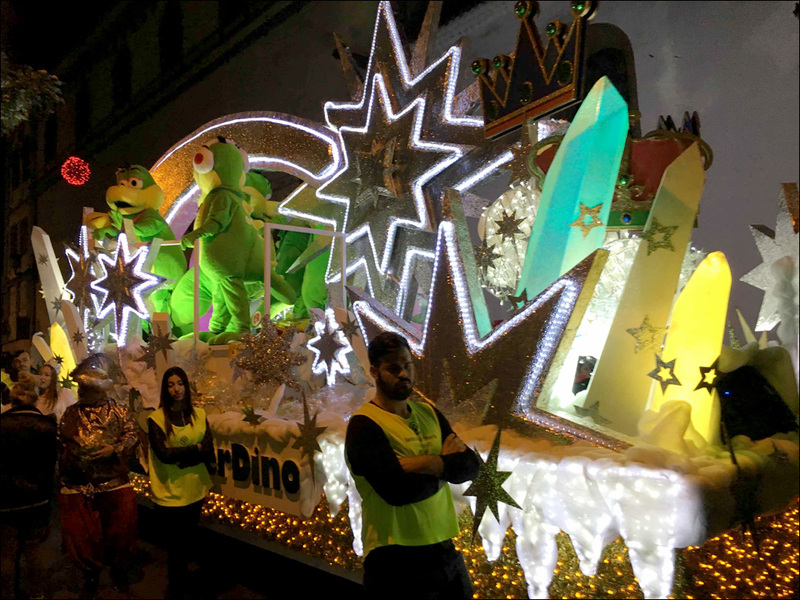 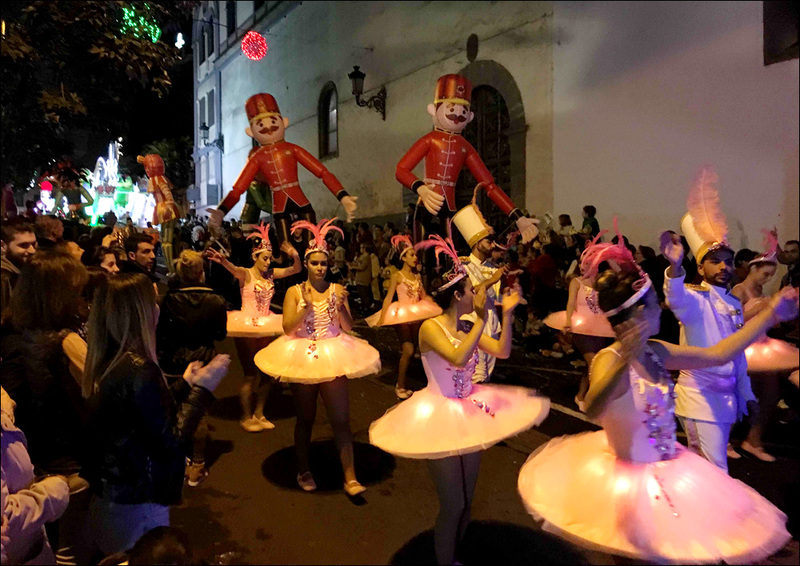 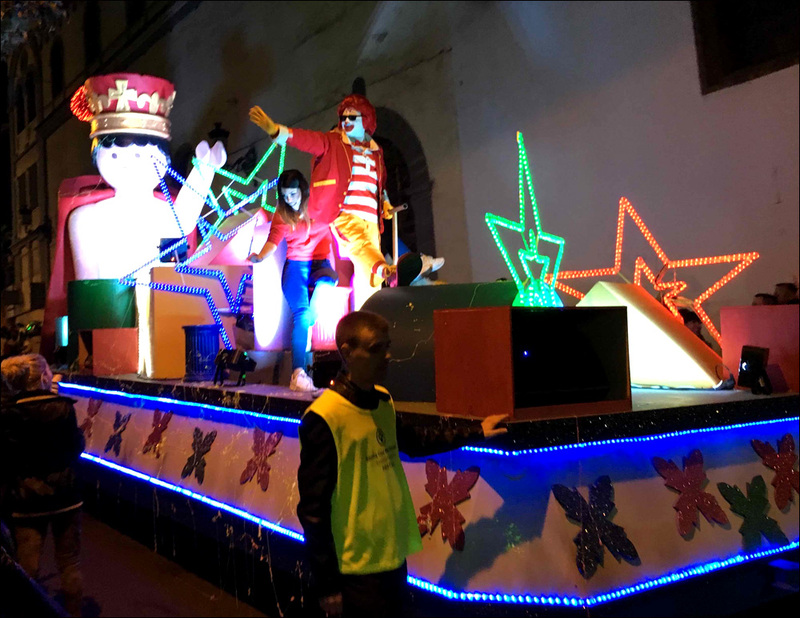 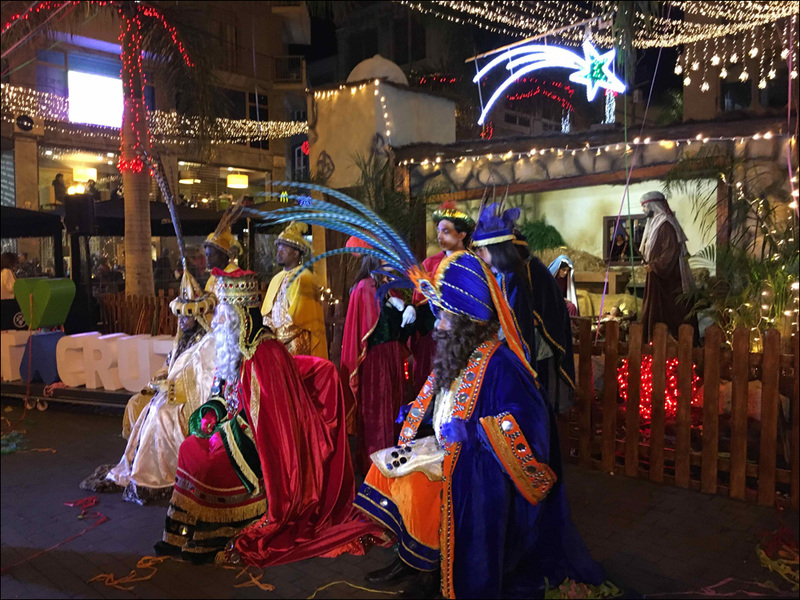 The winter festivities in Tenerife culminated with a spectacular parade on Thursday evening on the eve of Three Kings holiday. 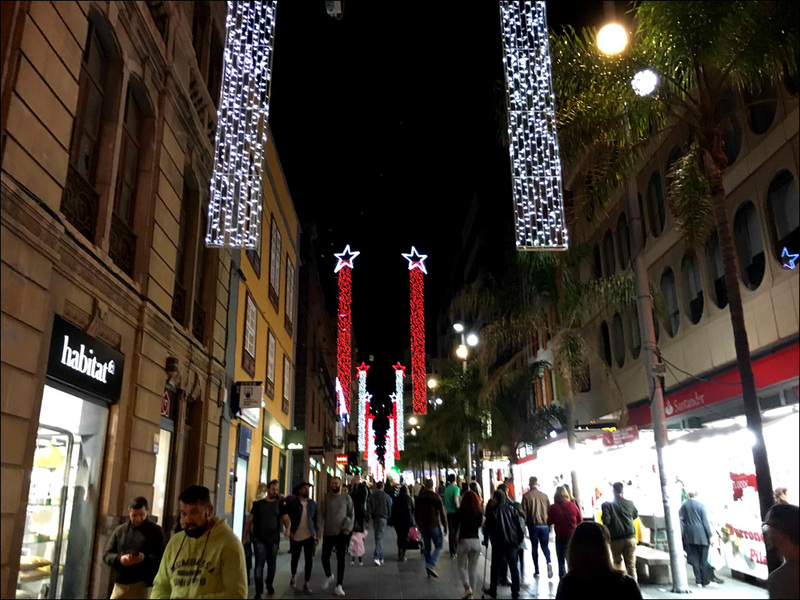 All street in the centre of the capital were lit up for this most celebrated day in the year’s calendar. 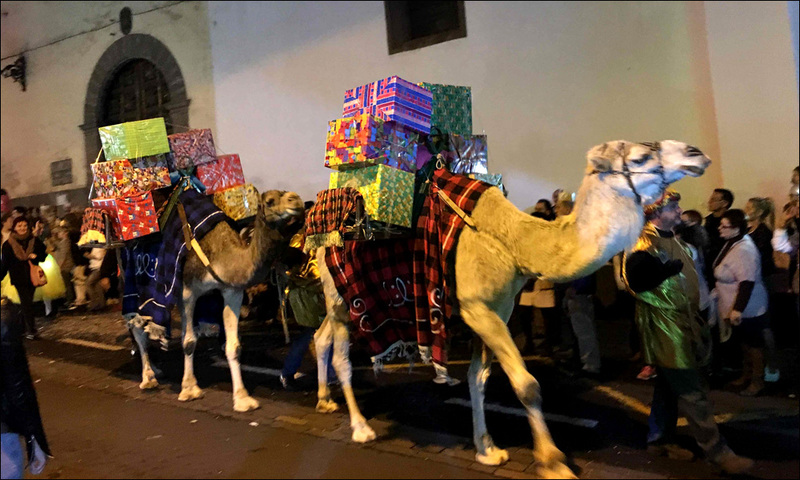 By tradition, children in Spain do not receive their gifts from Santa Claus but from the Three Kings, just as they came bearing gifts to the baby Jesus. 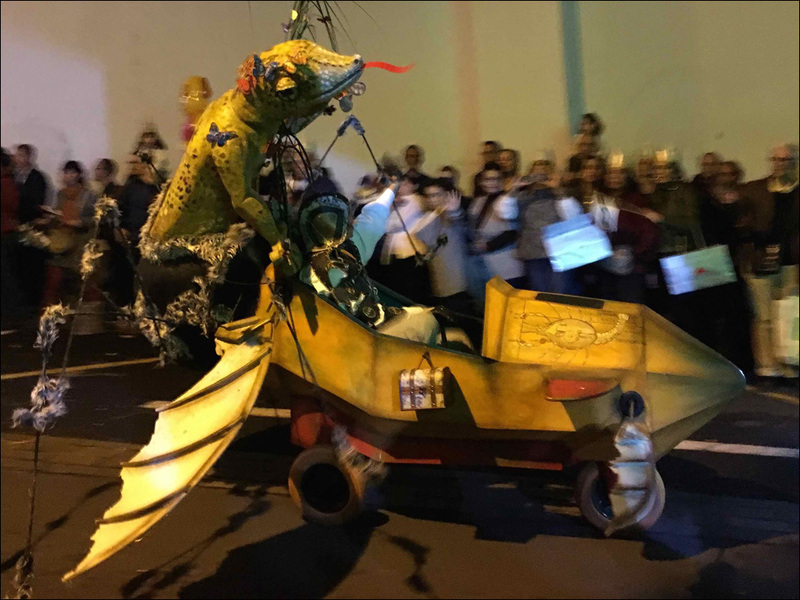 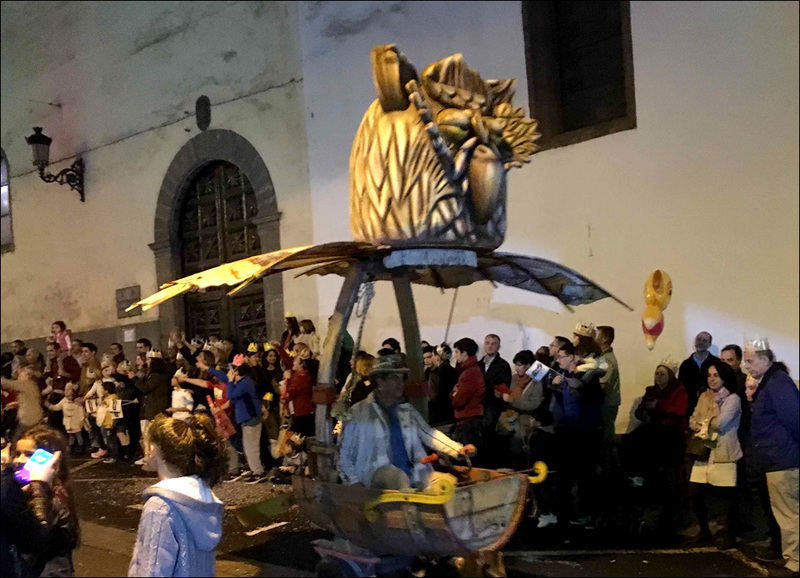 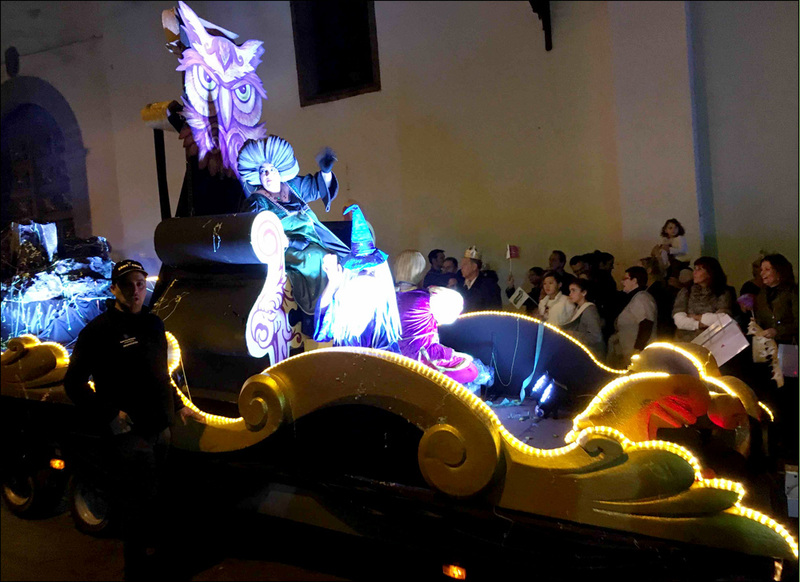 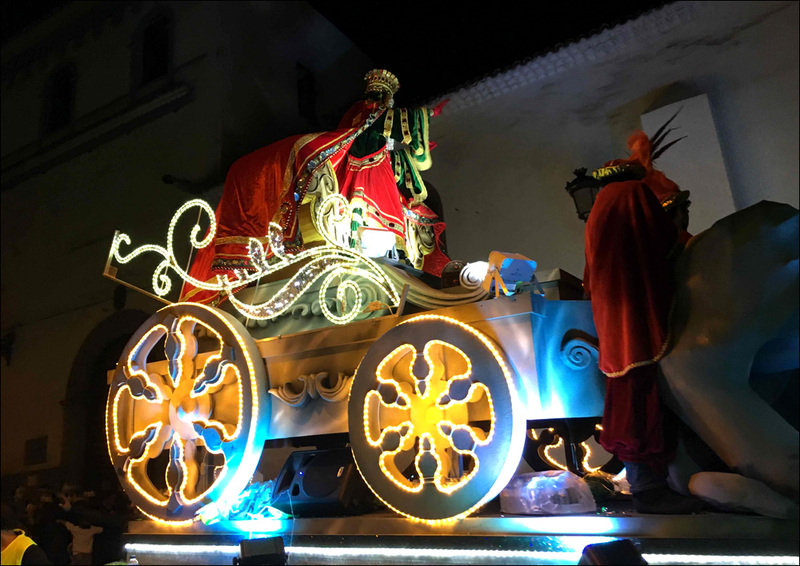 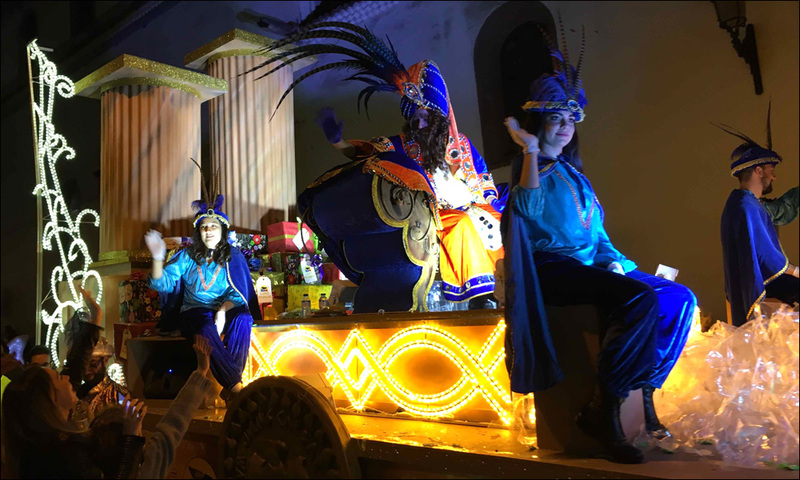 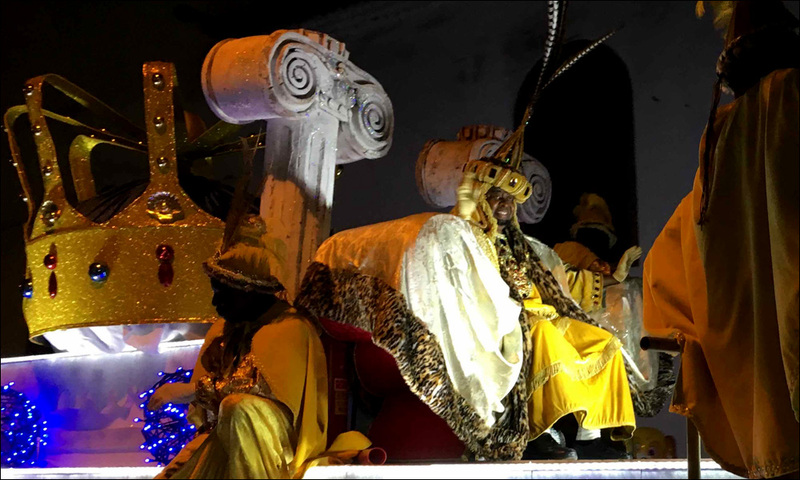 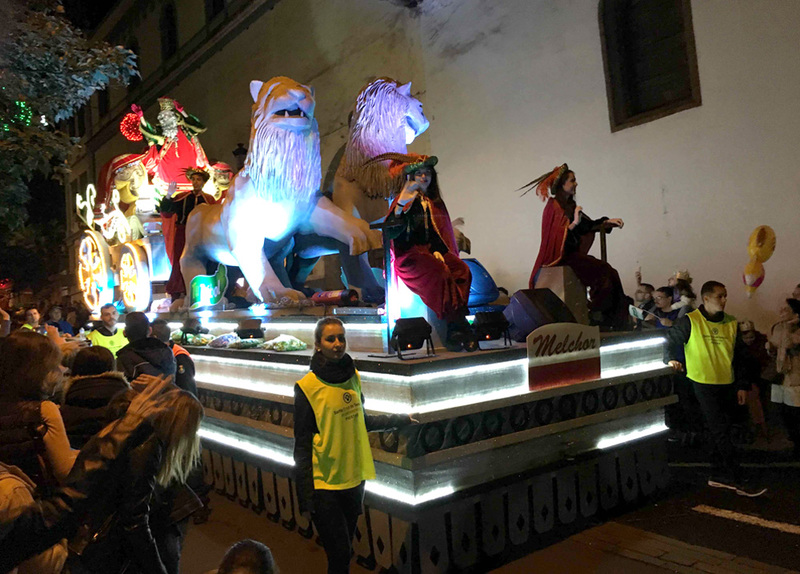 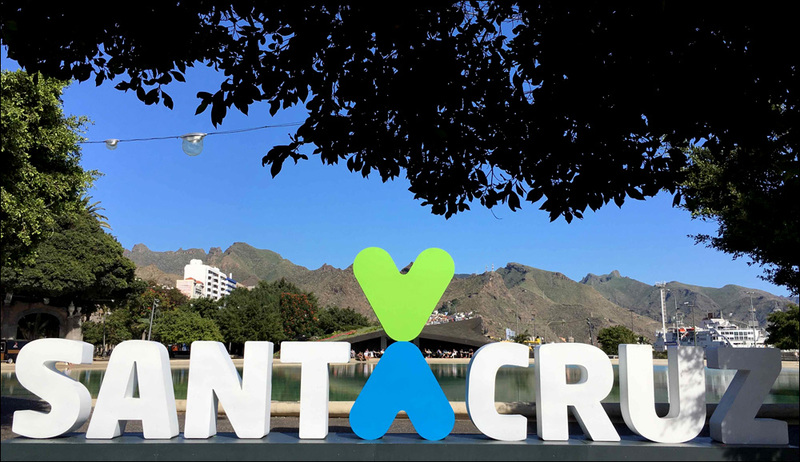 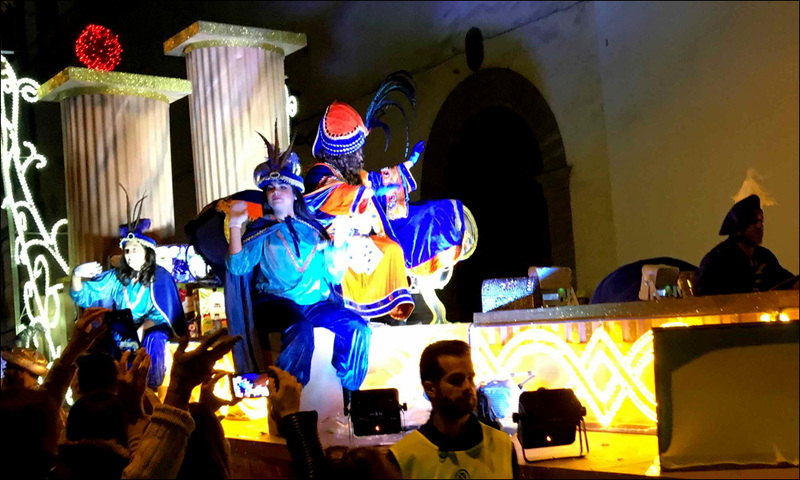 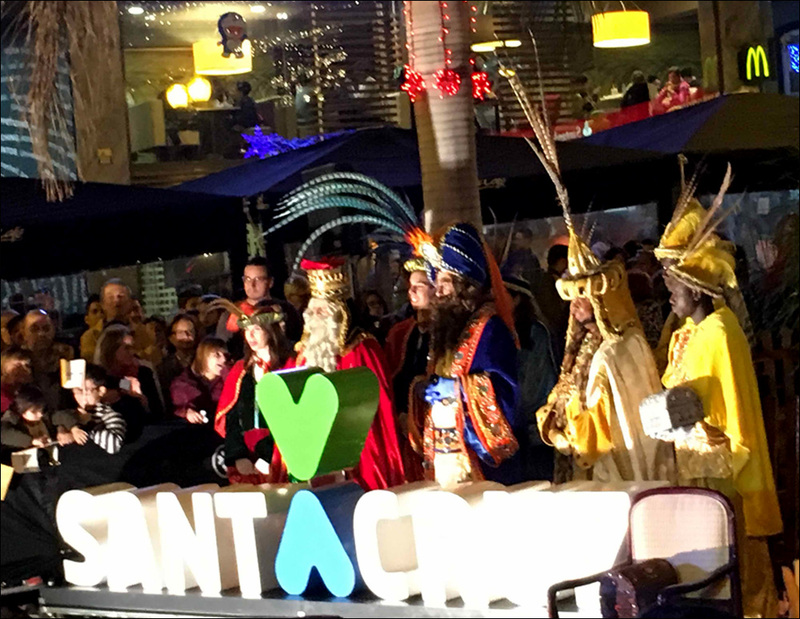 In Santa Cruz, the Three Kings arrived in a spectacular parade that wound its way through the streets of Tenerife’s attractive capital. 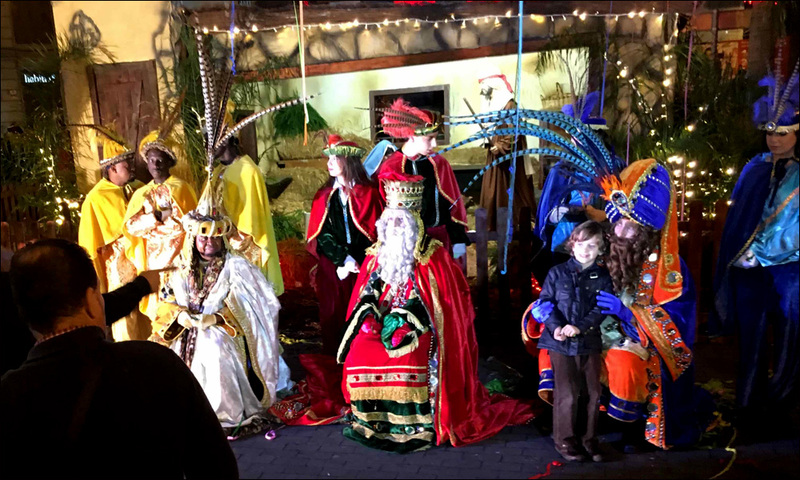 Parents with their children had been waiting in the long line for hours for the children to have the opportunity to whisper to the Kings the gifts they were hoping to receive but this old tradition took on a very contemporary stance when the parents turned it into a rare photo opportunity. 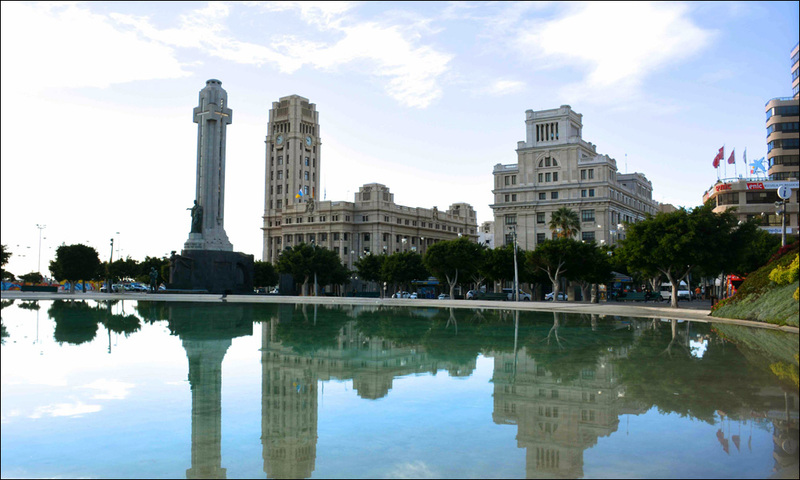 Today is a public holiday in Tenerife, a beautiful sunny day, and the streets are calm and quiet.